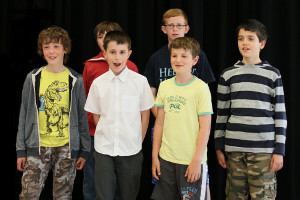 Inspiring boys aged 11-18 to keep singing! Cambiata, meaning ‘the emerging voice’, is a unique choir for boys entering their teenage years. Music is specially selected from across genres to allow for voice change, enabling boys to sing with confidence and explore the potential of their voices at this point in their lives. There are no auditions – all that is required is just an enthusiasm to sing!